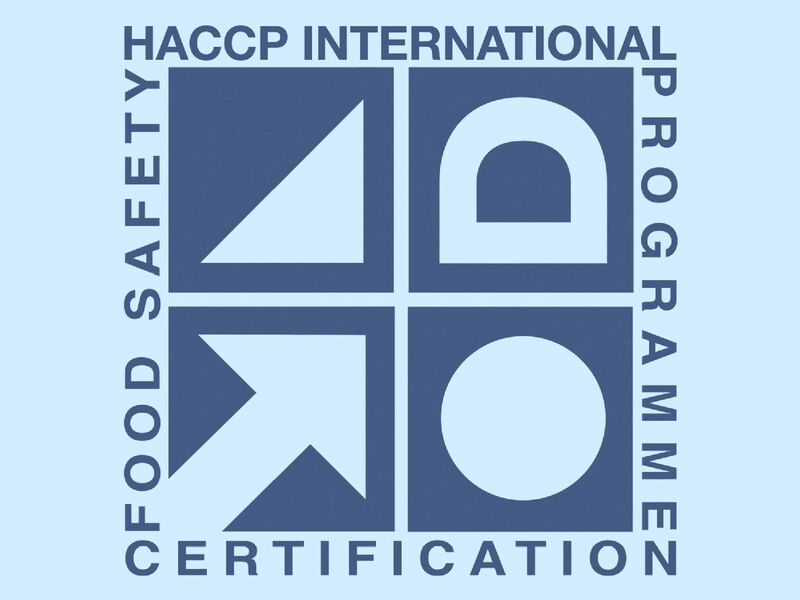 Whether a small bistro or a large restaurant: All gastronomic businesses must observe the principles of HACCP in their dealings with food. In addition to hygiene, the absence of germs is an important point. Temperature monitoring plays a significant role in the implementation of the HACCP concept. Various measurement methods are available for this. Which measuring instrument is the right one? What is the difference between 2 thermometers? Which loggers deal with my tasks best? 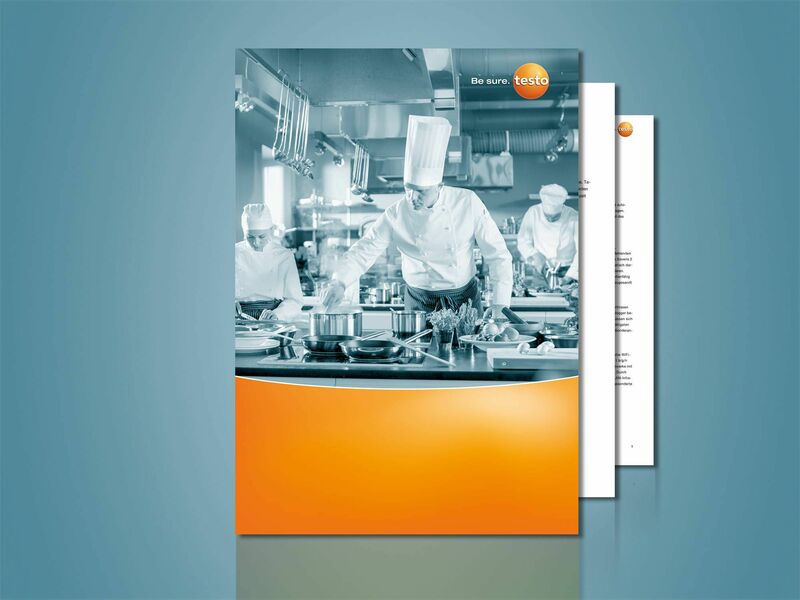 In our new brochure, we present measurement technology specially for gastronomy – including decision-making aids and product comparisons so you already start saving time whne choosing. Download now for free and find the right instruments. In comparison to large kitchens ( e.g. in hospitals, company canteens, catering operations), smaller restaurants and hotel kitchens rarely have a specially designated person with the responsibility for food safety. This means: The head chefs and/or owners are themselves responsible for compliance with the HACCP principles and hygiene standards. Because core tasks take up virtually all the operational capacity, HACCP tasks have to be carried out alongside them. Measuring technology solutions in this area should therefore be easy to use and reliable. Ideally, practical features can even considerably reduce the time needed for the respective tasks. For example, the acquisition of an automatic monitoring system pays off in reduced personnel costs. Checking incoming goods: Have the raw materials or semi-cooked products always been adequately refrigerated? Storage check: Are storage rooms and cold storage cells permanently refrigerated without any failures? Control of meal production: Have all cooked products been sufficiently heated? Have all cold dishes and desserts been sufficiently cooled? Does the cooking oil still meet the required quality or does it need to be replaced? Food service: Are the dishes still hot enough before being served? By law, food processing companies also include restaurants, kitchens and canteens. Resulting from this is the obligation to maintain a self-monitoring system to monitor hygiene regulations. The HACCP concept was introduced as a quality management system in order to minimize these risks. Food legislation prescribes proof of adherence to the cold chain and sufficient heating of the food before serving. This proof is provided in the form of the written documentation of the measurements carried out. The restaurateur must ensure that measurements are taken with sufficient frequency. The objective is a continuous and uninterrupted monitoring of the products and the production steps. This is especially important for the CCPs (Critical Control Points), which are crucial to the HACCP concept. CCPs are critical points at which a risk to the guests’ health can occur. An important example is the adherence to limit values in core temperature measurement. In food management in gastronomy, the principle applies: “If it’s not documented, it doesn’t exist.” This is why the authorities impose fines for non-compliance with the HACCP concept. In the worst case, the food hygiene assessors will close the restaurant down. Measuring instruments from Testo fulfil these requirements. They efficiently ensure unrestricted quality and food safety. Thermometers, data loggers and cooking oil testers have been proven in practice a thousand times over, and belong to the standard equipment in restaurants. That is why Testo is your reliable partner for safe food management and the implementation of the HACCP principles in gastronomy.